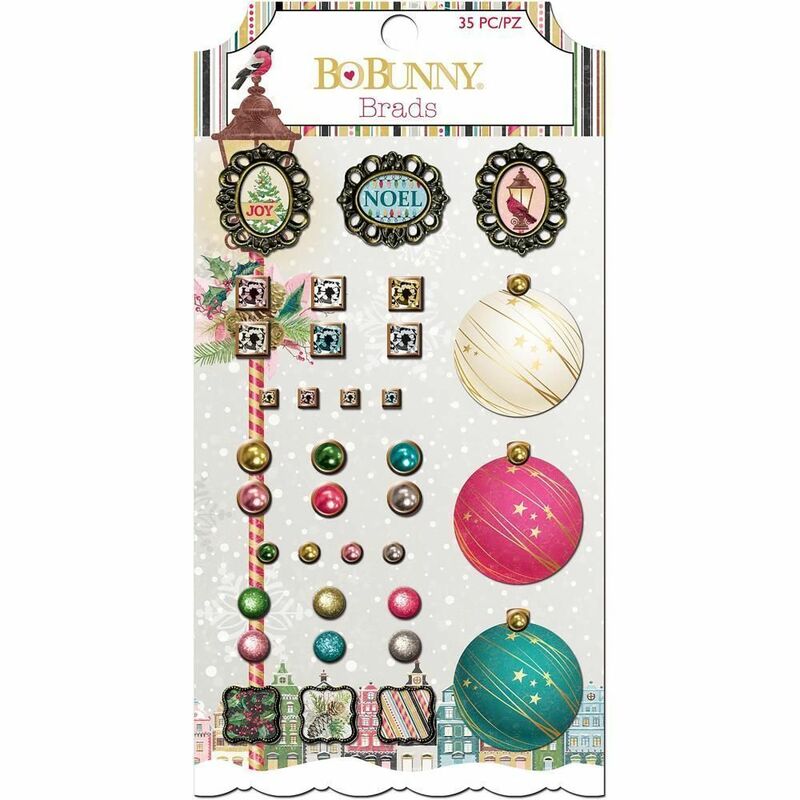 This package contains an assortment of Decorative Brads that includes Rhinestones & Gems. Part of the Christmas in the Village by BoBunny Press. Look for coordinating Designer Papers.